SMS Tax and Accounting Services, LLC is the best resource for accounting services in the Fort Lauderdale, FL area. Our CPA Firm can take fundamental accounting tasks off your hands to save you time, and we'll deliver regular financial reports to help you manage your money. 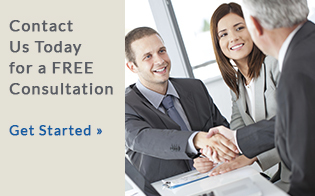 Call us today at 954-294-7140 to learn more or request a free initial consultation online now. We go beyond the numbers and use innovative methods to improve internal controls and make your business more profitable so it can grow. Many small businesses don’t have the time or manpower to properly care for their accounting and bookkeeping responsibilities. Outsourcing these critical tasks to us is surprisingly cost-effective and easy. Get the highest level of assurance for investors and creditors with our business audit services. We can also conduct reviews and compilations. What business structure will be most cost-effective at tax time? We'll determine which entity is right for your Fort Lauderdale, FL business. We can also help you put together a business plan and get a business loan.